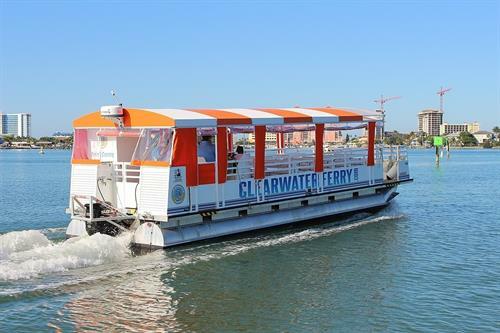 Ferry operates 7AM-10PM 7 days a week. Office is open 9AM-5PM 7 days a week. 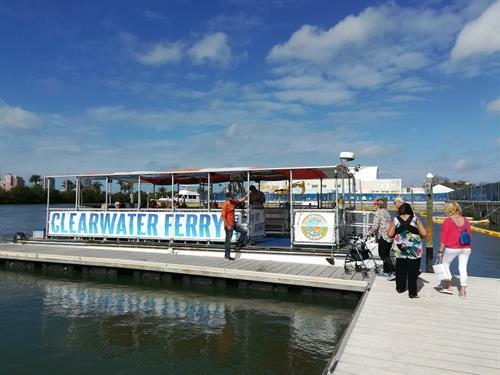 Clearwater Ferry provides a safe waterborne transportation experience in a fun, fast and reliable method to the best destinations in Pinellas County. 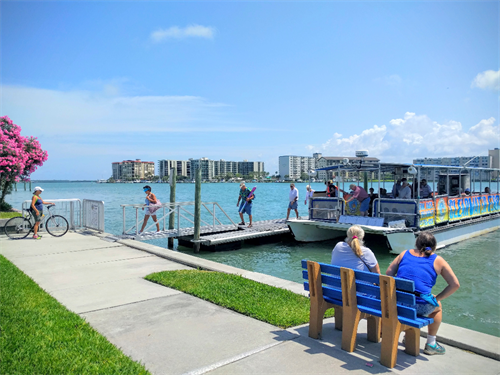 We are dedicated to offering a safe, alternate mode of transportation to help combat some of the hassles linked to driving such as traffic or parking. 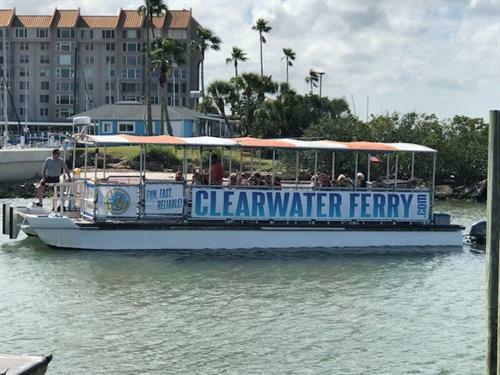 There is FREE parking available at our Downtown Clearwater and Dunedin stops, and the maps for these locations are available on our GETTING THERE tab. 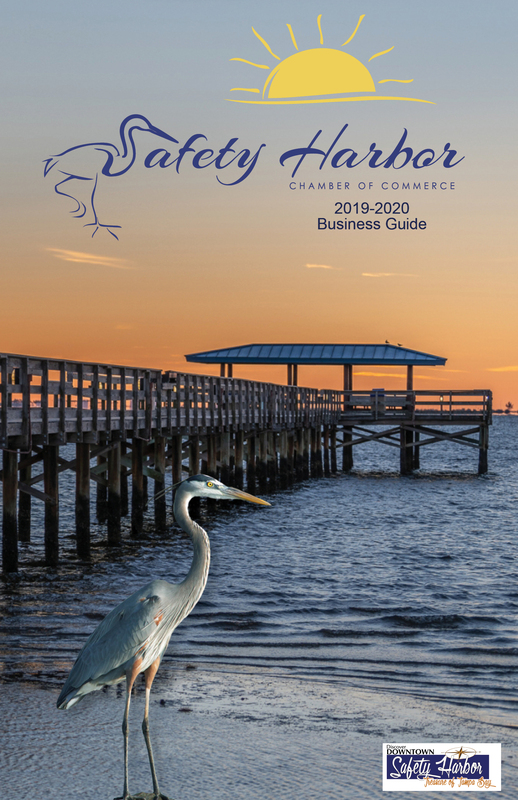 Please check out our FAQ for any questions you may have, and feel free to call our office at 727-755-0297. It is open 9a-5p 7 days a week. 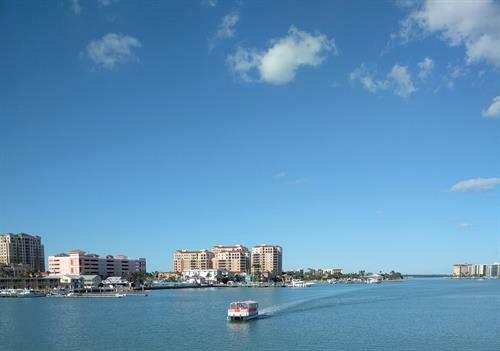 Using a GPS device, use 14 Drew Street, Clearwater FL 33755 to get to us. In case some roads are closed for special events, it is best to use Pierce Street to get down to us.